Self-honesty is the foundation of the Twelve Step Recovery program – the principle underling the first step. There are many different levels of honesty, including “cash register” honesty, emotional honesty, being honest in interactions with others, etc. All levels of honesty are important in various ways but early in my recovery process I learned a great deal about being honest with myself from Dr. Paul’s chapter in the Big Book of Alcoholics Anonymous – “Doctor, Alcoholic, Addict.” That level of honesty had to do with being honest with myself about my expectations. There is an old joke about the difference between a neurotic and a psychotic. The psychotic truly believes that 2 + 2 = 5. The neurotic knows that it is 4 but can’t stand it. That was the way I lived most of my life, I could see how life was but I couldn’t stand it. I was always feeling like a victim because people and life were not acting in the way I believed they “should” act. I had to learn to be honest with myself about my expectations – so I could let go of the ones that were insane (like, everyone is going to drive the way I want them to), and own my choices – so I could take responsibility for how I was setting myself up to be a victim in order to change my patterns. Accept the things I cannot change – change the things I can. When I first started realizing how much my expectations were dictating my emotional reactions to life, I tried not to have any expectations. I soon came to realize that it was impossible to live in society and not have expectations. If I have electricity in my home I am going to expect the lights to come on – and if they don’t, I am going to have feelings about it. If I own that having electricity is a choice I make, then I realize that I am not being the victim of the electric company I am just experiencing a life event. And life events occur for me to learn from – not to punish me. The more I owned that I was making choices that caused me to give away some power over my feelings and that those feelings were ultimately my responsibility – the less I reacted out of a victim place – the more serenity I had about events that occurred. To believe that unpleasant stuff should never happen to me was a truly insane, dysfunctional notion. The reality of life is that ‘stuff’ happens. Of course, getting to the place where I could accept life on life’s terms was only possible because I was working on letting go of the belief that it was happening to me because I was unworthy and bad – which I learned growing up in a shame-based society. It was essential for me to stop blaming myself and feeling ashamed of being human so that I could stop blaming others and always feeling like a victim. In other words, it was necessary to start seeing life as a Spiritual growth process that I couldn’t control in order to get out of the blame them or blame me cycle. I found that there were layers of expectations I had to look at. I wanted to feel that I could be a righteous victim if someone told me they were going to do something and didn’t. But then I had to own that I was the one who chose to believe them. I had to also realize that falling in love was a choice and not a trap that I accidentally stepped into. Loving is a choice that I make and the consequences of that choice are my responsibility not the other persons. As long as I kept buying into the belief that I was being victimized by the person I loved there was no chance of having a healthy relationship. The most insidious level of expectations for me had to do with my expectations of myself. The “critical parent” voice in my head has always berated me for not being perfect, for being human. My expectations, the “shoulds,” my disease piled on me were a way in which I victimized myself. I was always judging, shaming and beating myself up because as a little child I got the message that something was wrong with me. There is nothing wrong with me – or you. It is our relationship with ourselves and life that is dysfunctional. We are Spiritual beings who came into body in an emotionally dishonest, Spiritually hostile environment where everyone was trying to do human according to false belief systems. We were taught to expect life to be something that it isn’t. It isn’t our fault that things are so screwed up – it is however our responsibility to change the things we can within our self. There are ways that I say things when doing my workshop or talking to a phone counseling client that are not exactly the way I have written things. This joke about the neurotic and psychotic is one of them. What I say when speaking to someone is this. The really crazy people – people who are schizophrenic or psychotic – will tell you that 2 plus 2 is 5 and truly believe it. Codependents know it is 4 and can’t stand it. What this helped me to see is that I could see how life is and I can’t stand it. lt is not fair. It is not just. People aren’t nice. We are destroying the planet and have all this violence and wars and it shouldn’t be that way! Well, that was just making me a victim. I was a victim of reality because I couldn’t stand how it was. Being a victim wasn’t serving me because when I am buying into the belief that I am a victim then I am not owning that I have choices. Here is another quote from one of my articles about how important acceptance is to – not only learning to have some serenity in our lives – but to owning our choices so we can become empowered to change our relationship with our selves into a more loving one. “Recovery is a process of learning to accept reality. Empowerment is about accepting reality as it is and making the best of it. In order to accept reality, it is necessary for me to be honest enough with myself to realize that I am not in charge of this process. I cannot make life do what I want it to – so I need to continuously surrender to the plan of The Great Spirit rather than try to force my plan on the Universe (and feel sorry for myself, or blame others, when that doesn’t work.) It is not bad or shameful for me to try to make things happen the way I want – it is just human, dysfunctional, and painful. The sooner I catch myself not accepting reality as it is, the sooner I can let go of my picture of how I think things need to be, the more serenity I have in my life. Melody Beattie says “Learn the art of acceptance – it is a lot of grief.” She is right. Many times the reason I am not accepting reality is because I do not want to own the feelings involved. The grief and anger over a loved one self-destructing. The grief over having to let go of something or someone that means a lot to me. The grief over accepting that life – from my perspective – is not fair or just. One of the reasons that I try to control life is to protect myself from having to see someone I Love in pain. I cannot protect others from the reality of life, or from themselves, – and if I think that I am trying to control someone else just for their sake I am lying to myself. The principle behind the first step, and the foundation of the twelve step, or any Spiritual program, is self-honesty. If we are not being honest with ourselves, then we are not capable of being honest with anyone. It is vital to start stripping away the layers of denial, self-delusion, disassociation, magical thinking, victim thinking, blame, resentment, and dishonesty that we learned to protect ourselves with in childhood. Again, it is not shameful or bad that we have used these behavioral and emotional defenses to protect our self – it is because we were wounded in a variety of ways in childhood. Some of those ways include being: abandoned, betrayed, rejected, invalidated, shamed, discounted, deprived, degraded, abused, violated, damaged, put down, spiritually broken, emotionally raped, intellectually dishonored, hurt, humiliated, diminished, heart broken, molested, etc. Reading my book Codependence: The Dance of Wounded Souls (links to all of my books in both hard copy, ebook, and audiobook format are on that page) would really help you take your understanding to a whole new level. Understanding codependency is vital in helping us to forgive our self for the dysfunctional ways we have lived our lives – it is not our fault we are codependent / that we learned to do life backwards. ““We are all carrying around repressed pain, terror, shame, and rage energy from our childhoods, whether it was twenty years ago or fifty years ago. We have this grief energy within us even if we came from a relatively healthy family, because this society is emotionally dishonest and dysfunctional. When someone “pushes your buttons,” he/she is activating that stored, pressurized grief energy. She/he is gouging the old wounds, and all of the newer wounds that are piled on top of those original wounds by our repeating behavior patterns. We are terrified of this pressurized pain, terror, shame, and rage energy – of “having our buttons pushed” – because we have experienced it in the past as instances where we have explosively overreacted in ways that caused us to later feel ashamed and crazy, or as implosive reactions that have thrown us into that deep dark pit of emotional despair within. We all have reactive emotional “buttons” – an internal emotional mine field – that cause us to have intense emotional reactions when a button is pushed, when one of the unhealed wounds in our psyche gets activated. Other people, life events, an old song, etc., can trigger these emotional wounds. Having these strong emotional reactions is not a sign that we are crazy, it is just a symptom of codependency. It is important to stop judging and shaming ourselves – or blaming others – for these reactions. It is vital to start learning how to disarm those buttons – how to heal our emotional wounds. In recovery it is important to start realizing that any time that we have an intense emotional reaction with a lot of energy behind it, a lot of power – whether it is terror and panic, despair and helplessness, rage, or whatever – that is a sign that an old wound has been triggered. It is an indication that unresolved grief is involved in our reaction. One of the first clues to start paying attention to in recovery, clear evidence that inner child wounds are involved, is when our reaction to a situation, person, job interview, whatever, feels life threatening. That is, the situation is not actually, factually, life threatening but it feels like a life or death situation – it feels like our survival depends upon the outcome, the other persons reaction, etc. In childhood our survival was dependent upon our parents. They were wounded – had their own internal emotional mine fields – so they wounded us. It felt like there was something wrong with our being that was threatening their love for us – and therefore our survival. We learned to focus externally to try to manipulate and control life and other people to try to ensure our survival. This gut wrenching survival fear has been running our lives – whether we were charging through life in denial of it, or allowing it to totally dominate our reality. It is vital to learn how to start taking power away from this survival fear. Emotional discernment starts when we can detach from the feeling enough to take an honest look at reality. It may feel terrifying, may feel life threatening – but is that the truth? You may feel like you want to die, but that feeling is a result of codependency. It is very normal to feel sad about being alone on Valentine’s Day, but the reason we end up feeling like we want to die is not just because of the sadness. The reason we end up feeling like we want to die is that we are allowing our reality – and our relationship with our self – to be dictated by a combination of inner child wounds and false intellectual beliefs. We react emotionally out of a desperately lonely, love starved, inner child place within us – at the same time we judge ourselves for being alone, and for our feelings. The critical parent voice in our head beats us up unmercifully for being a “loser” and a “failure” in romantic relationships. Happy Holidays is a greeting many people say even if they are feeling lonely or blue. 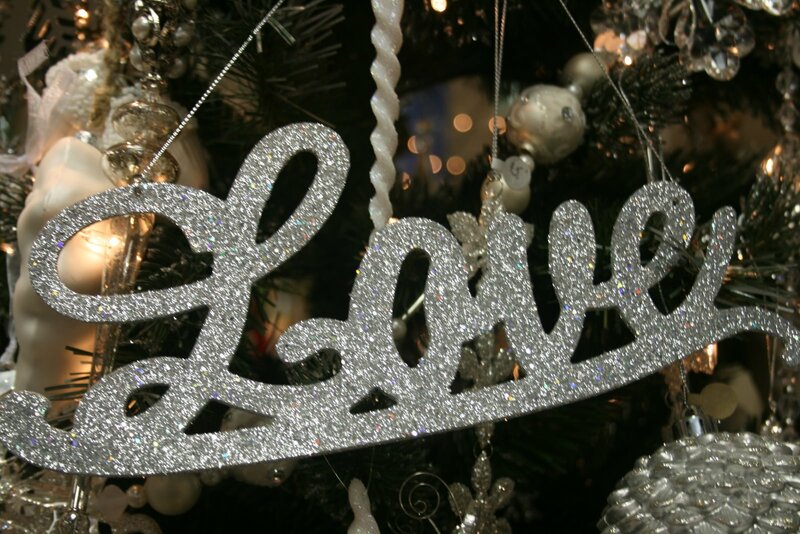 We often hear people say that Christmas is about LOVE! So many of us respond to the Holiday Season by running around shopping for gifts, volunteering, making donations, preparing meals and planning our annual family traditions. We may act like one of Santa’s Elves in out in the workshop making toys for everyone we love all day and night. We love this time of year but there can be times when it gets to be overwhelming and we tend to neglect the most important and only person we are responsible for our self! I am reminded that the Holidays are not only about LOVE but are also celebration of birth and rebirth. The Winter Solstice is the time of the longest darkness and marks the point of increasing light, the new beginning. Hanukkah is a time for re-dedication. Kwanzaa is a time of re-commitment. These are all times of both celebration and introspection. A quiet time given to us so we can reflect on the past and consider what we want to create in our future for the New Year. There is just one catch! With any new beginning, any birth or rebirth is a also an ending. With every ending there is sadness, feelings of loss and grief. We may have lost someone close to us who will not be available to celebrate. We may have ended a relationship and feel the sadness during this time of year. We may have grief over the emotional unavailability of those family members we are celebrating with. These are just a few examples of the ways that the Holiday Blues can creep in and make our lives unmanageable during the Holiday Season. What I have to share with you today is a realization I had about my expectations of my self and how I recovered from the Holiday Blues using the Twelve Days of Christmas to illustrate the recovery principles I teach the best because I need to learn to practice them all year long! My version of Happy Holidays includes completely is allowing myself to accept the reality of my life (looking at both the half of the glass that is full as well as the empty part) emotionally – that is, allowing myself to be emotionally honest with myself. If I am feeling grief because I am alone during the Holidays it does not serve me to share that with someone who is not being emotionally honest – someone who will shame me for not being cheerful. If I am feeling hurt or scared or angry I will only share that with someone who is a safe person to share with emotionally – that is, they won’t discount and invalidate my feelings or try to fix me. Grief Processing, Acceptance and Emotional Honesty! I don’t have to live up to some false expectations about how I “should” be feeling today. It was my own self defeating behavior of trying to deny the pain and sadness, the anger and fear, while judging myself as shameful for not feeling what I “should” feel or being who I “should” be, that caused me to get depressed and suicidal. When I am in my feeling process I actually am a lot happier and feel more Joy than I ever did before I learned how to be emotionally honest. Honoring my Feelings, Grief Processing and Acceptance and Emotional Honesty! It was on Christmas about 10 years ago that I got clear that I was capable of feeling more than one feeling at once. I was sad that it was Christmas and I was alone. I had feelings of grief for all of those past Christmases that I was sad but never acknowledged it. and alone – which were very valid and legitimate feelings. But as I went around to various clubhouses and friend’s homes that were having open houses, I could feel happy to see people I cared about. I could feel Joy and gratitude that I was in recovery and feeling my feelings at the same time I was owning the sadness of that day and the grief of all the lonely holidays that I had experienced. Friends in Recovery, Honoring my Feelings, Grief Processing, Acceptance and Emotional Honesty! It is so very important to stop judging ourselves against someone elses standards and shaming ourselves due to a fantasy of where we “should be.” We are exactly where we are supposed to be. We are Spiritual Beings having a human experience. We are perfect in our Spiritual Essence, we are perfectly where we are supposed to be on our Spiritual path and from a human perspective we will never do human perfectly. A Higher Power of my OWN understanding, Friends in Recovery, Honoring my Feelings, Grief Processing, Acceptance and Emotional Honesty! Inner Child Healing, A Higher Power of my OWN understanding, Friends in Recovery, Honoring my Feelings, Grief Processing and Acceptance and Emotional Honesty! I am aware of my feelings and my fears whether I am happy, merry, sad, Joyous, painful, peaceful, scared or cheerful in the moment. I am experiencing what it feels like to be alive in human body. Awareness of my Fears, Inner Child Healing, A Higher Power of my OWN understanding, Friends in Recovery, Honoring my Feelings, Grief Processing and Acceptance and Emotional Honesty! Practicing self care includes exercising, relaxing, taking care of yourself physically but it also includes learning to set boundaries and is vital part of learning to communicate in a direct and honest manner. It is impossible to have a healthy relationship with someone who has no boundaries, with someone who cannot communicate directly and honestly. (I may have preferred the Nine Ladies Dancing) Time to Practice Self Care, Awareness of my Fears, Inner Child Healing, A Higher Power of my OWN understanding, Friends in Recovery, Honoring my Feelings, Grief Processing and Acceptance and Emotional Honesty! Learning how to set internal boundaries is a necessary step in learning to be a friend to yourself. It is your responsibility to take care of yourself – to protect yourself when it is necessary. It is impossible to learn to be loving to yourself without owning yourself – owning your rights and responsibilities as co-creator of your life. Internal Boundaries,Time to Practice Self Care, Awareness of my Fears, Inner Child Healing, A Higher Power of my OWN understanding, Friends in Recovery, Honoring my Feelings, Grief Processing, Acceptance and Emotional Honesty! Positive Affirmations are the single most powerful and vital tool in the Recovery process. Codependency is a condition caused by growing up in a shame-based, emotionally dishonest society which teaches us false beliefs about the nature and purpose of life. We are Spiritual Beings having a human experience, not shameful, sinful human creatures who have to earn Spiritual salvation.We are magnificent Spiritual Beings full of light and LOVE! Positive Affirmations, Internal Boundaries, Time to Practice Self Care, Awareness of my Fears, Inner Child Healing, A Higher Power of my OWN understanding, Friends in Recovery, Honoring my Feelings, Grief Processing, Acceptance and Emotional Honesty! Owning our own voice is important for us to do for ourselves. Many of us have been crippled by the shame we experienced in our childhoods. By stating what we are feeling out loud without placing blame on the other person, we can begin to take responsibility for our personal truth. It is not important whether or not the other person hears us. It is important for us to do for ourselves. We can develop ourselves in being able to recognize that we are capable of asking for what we need as a request or invitation for others to participate or not. We will begin to attract those who are trustworthy and in the process we are recognized as our authentic selves not the masks that we have been wearing. to Change the Things I can and The Wisdom to know the Difference. AMEN.